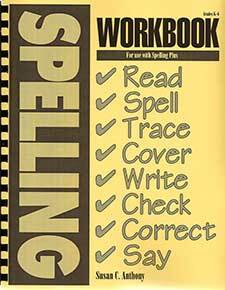 All of the reproducible material in Spelling Plus is reproduced in this handy workbook. Save time and copy costs. Ideal for home schooled students. Each sheet has four copies of a Spelling Plus list, one each to be used for daily practice activity on Monday, Tuesday, Wednesday and Thursday, with the test on Friday.